For Hearing protection aginst sound pollution The ear plug 3M 1110 features soft, hypoallergenic foam and a tapered design to create a custom, noise-reducing seal in the ear canal makes it as a best safety ear plugs in 3m disposable ear plugs range. 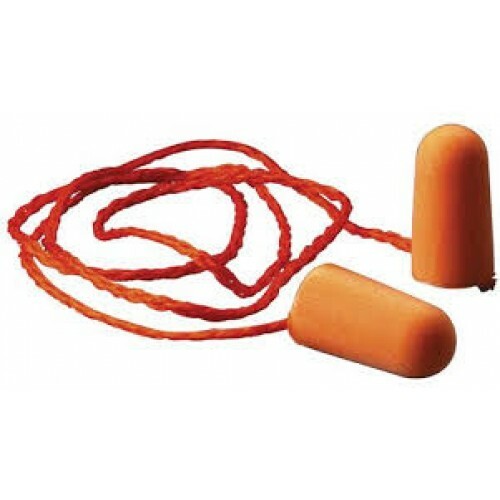 3M ear plugs in India equipped with a comfortable, cloth cord to help prevent earplug loss. 3M ear protection products made of Soft, corded foam earplugs that conform to the unique shape of each ear for excellent hearing protection and comfort. 3M 1110 sound reduction ear plugs are measured through ear plug measurements called NRR. The Noise reduction ratio (NRR) may overestimate the hearing protection provided during typical use. Wearing ear plugs will reduce the intensity of sound but it does not block completly. 3M Personal Protective Equipment is a worldwide leader in ear protection equipments. 3M is Leading the Advancement of Hearing Conservation.